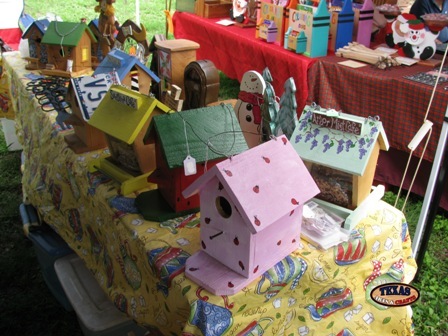 The semi annual Warrenton Antique Show begins Thursday, September 24th and lasts until October 4,2009. The show is located in Warrenton, Texas. It is about 30 miles northeast of Schulenburg. There will be a antiques, furniture, Arts and Crafts, music, food Stands, and other unique shops and items. For more information about this show visit Warrenton Texas. We will set up our crafts at this show Thursday evening. 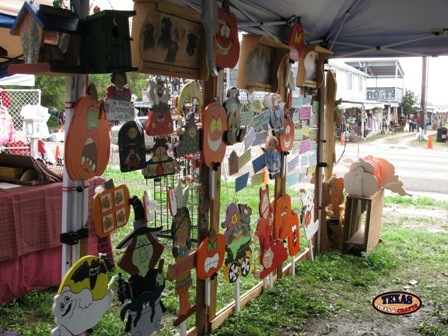 We will be selling bird houses, bird feeders, grandparent signs, funny saying signs, key rack shelves, animal crafts, fall crafts, and many other cute and fun items. What items we will have for sale depends upon our inventory, and what we can fit into our trailer.